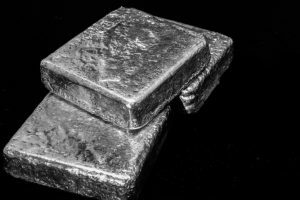 Investors may be better off with silver than gold. The Federal Reserve’s pledge to stick to its dovish outlook on US monetary policy has fueled a rally in precious metals, and silver usually beats gold in a rising market. After the Fed raised interest rates last week, Chair Janet Yellen said it was willing to tolerate inflation temporarily overshooting its 2% goal, and intended to keep its policy accommodative for some time. The gradual pace of tightening means negative rates will deepen, the dollar weaken and gold rise. The gold-to-silver ratio rose to 71 on March 14, the most in two months, and above an average of 62 in the past decade and a low of 32 in 2011, showing there’s potential for silver to appreciate versus gold. Spot silver added 0.9% to $17.4964, extending a 2.7% gain. Silver has risen more than 9% this year. The unpredictability of President Trump’s administration and risks surrounding the outcome of elections in France and Germany have driven demand. Supply may drop following mine closures, and prices need to rise to boost output. Industrial use is expected to be flat this year, though still near a record, said Jeffrey Christian, managing director of CPM Group. “Use in solar panels, electronics, batteries, jewelry, chemical process catalysts and other manufactured products will remain strong,” he said.